The wife and children of an Islamist extremist linked to al-Qaeda have won a legal battle against the Home Secretary's refusal to grant them UK citizenship. 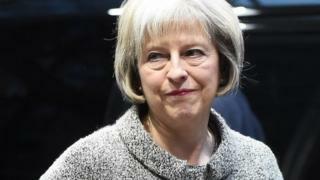 Theresa May had said her decision would "deter potential extremists". But the High Court said Mrs May's position lacked "internal logic" and was "irrational". The court said it was unfair to deny citizenship to the wife of Egyptian-born Hany Youssef and their children. It said Mr Youssef's wife, 51, and the two children, 27 and 26, were all of good character. Mr Justice Ouseley said: "There is real unfairness, on the face of it, in refusing naturalisation to someone who qualifies in all other respects, in order to provide a general deterrent to others, over whom the applicant has no control." The family's barrister, Michael Fordham QC, had said it would be wrong to penalise them for "the sins of the father", and any such move would have "no place in a liberal democracy". Robin Tam QC, for the home secretary, had said being granted British citizenship was "a privilege, not a right". He argued that denying citizenship was a reasonable deterrent and was not disproportionate because those concerned were still permitted to carry on living in the UK. The family have lived in the UK since 1994 and have had indefinite leave to remain since 2009. A United Nations independent ombudsman had concluded that Mr Youssef had "repeatedly made statements which glorify the activities of Osama Bin Laden and other prominent members of al-Qaeda and which encourage others to emulate them". A UN sanctions committee lists him as associated with al-Qaeda through the militant group Egyptian Islamic Jihad. Mahdi Hashi: How easy is it to lose British citizenship?